Mego returns this year with a new line of vintage themed figures modeled to fit in with the original 8″ scale line from the 60’s – 80’s. 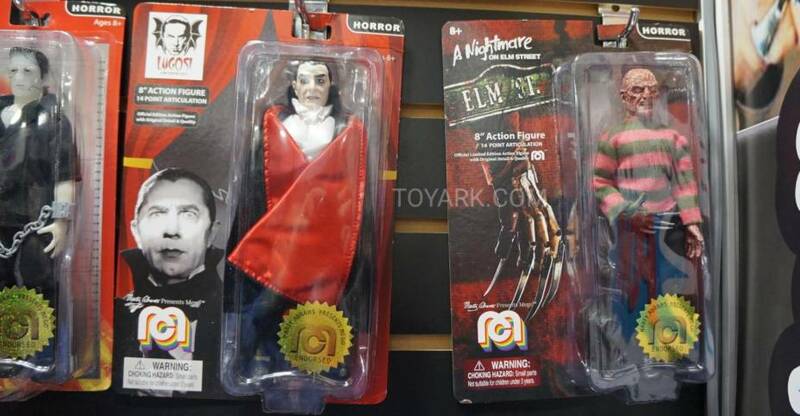 The line up, which will feature 8″ scale and 14″ scale deluxe figures, will be Target Exclusives. It looks like they’re going after a ton of older licenses. Included are Happy Days, Cheers, Married With Children, The Brady Bunch, Star Trek, Vintage Horror, Classic DC Comics, I Dream of Jeanie and more. In the 1970’s and early 1980’s, Mego was the premier company for action figures. They were one of the first to have a multi-licensing series of figures that were all available in the exact same scale. Their 8″ figures featured full articulation, cloth outfits, and were known for some impressive play sets. Lots of companies have stepped in over the years with toy lines that pay homage to the original Mego company. Now, that brand is making a comeback as a Target exclusive line of figures. 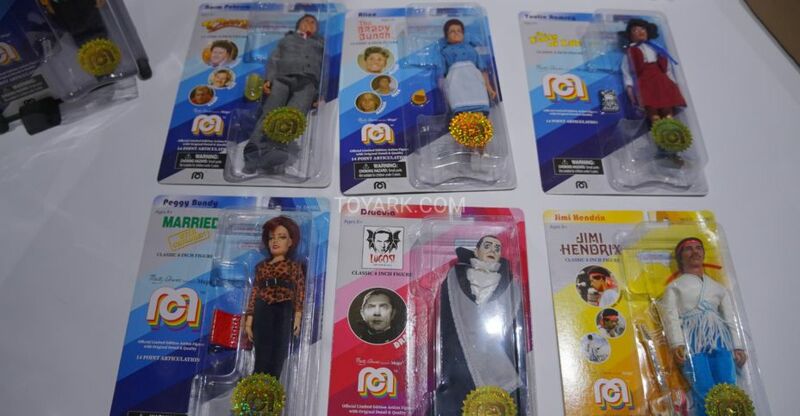 Starting on July 29th, the first new Mego products will hit store shelves. 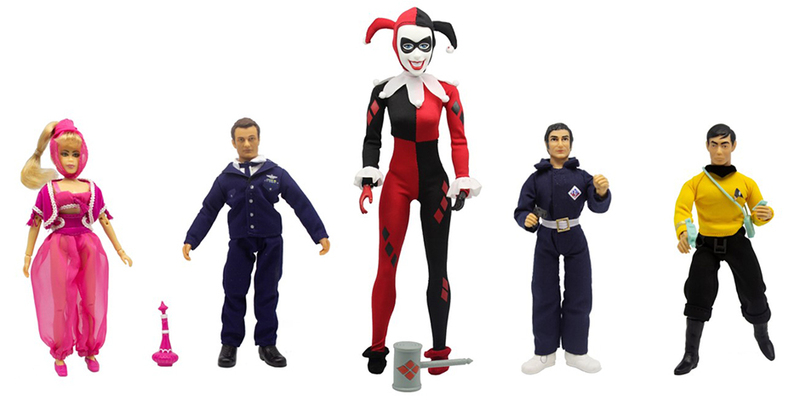 Marty Abrams, whose family founded Mego, is bringing these classic figures back. They will have 8″ single packed figures, 14″ deluxe figures, and 8″ figure 2-packs with dioramas. There will be a mix of iconic classic brands, and some modern licenses as well. Check out the press release and some photos after the jump.